The new back-illuminated (BSI) Exmor R CMOS full-frame sensor offers an impressive 15 stops of dynamic range at low ISO values, in addition to 24.2MP of resolution and increased sensitivity. The front-end LSI chip doubles the readout speed of the image sensor and the updated BIONZ X processor boosts processing speed by approximately 1.8x compared to its predecessor. It has an ISO range of 100 to 51200 which is expandable to ISO 50 (low) and 204800 (high) for still images and offers 14-bit RAW even in silent and continuous shooting modes. 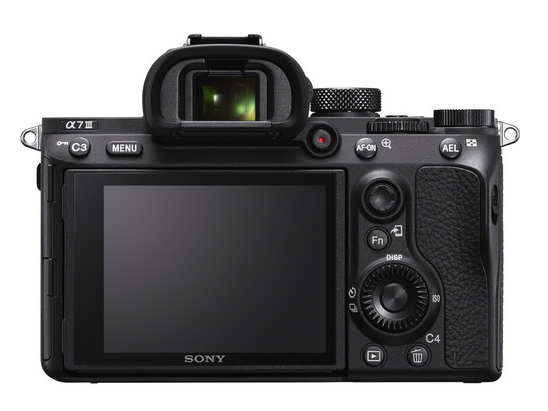 Compared to the A7 II, the autofocus performance of the A7 III is greatly improved. Along with the addition of 4D FOCUS™ capabilities, the camera also has 425 contrast and 693 phase detection points that cover around 93% of the frame, putting it on a similar level as the flagship A9. Focusing speed in low-light and tracking are 2x faster than on the previous model thanks to the faster image sensor readout. What’s more, these autofocus capabilities are compatible with Sony’s A-mount lenses as long as you use the optional LA-EA3 adaptor. Coming back to the image processor, it now allows the camera to shoot full resolution images at up to 10fps with AF/AE tracking for up to 177 Standard JPEG images, 89 compressed RAW images or 40 uncompressed RAW images, or 8fps in live view mode with minimal lag in the viewfinder or LCD screen. The camera also uses Sony’s 5-axis optical image stabilisation that results in a 5 step shutter speed advantage compared to cameras that lack this technology. 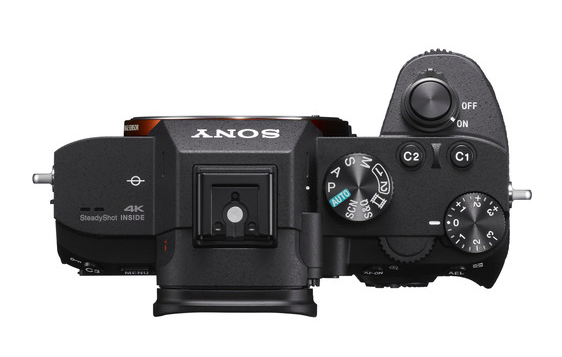 4K video has become a standard on most mirrorless cameras, so it isn’t a surprise to see it make an appearance on the A7 III. 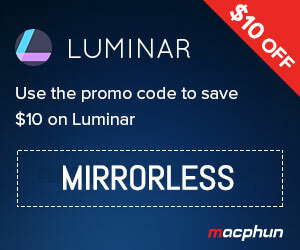 The camera offers 4K video recording up to 30fps across the full width of the sensor. Using full pixel readout, it collects around 6K of information which it then over-samples to produce high quality 4K footage. Also present are S-Log2, S-Log3 and the new HLG (Hybrid Log Gamma) which allows HDR compatible televisions to playback HDR imagery, along with Zebra functionality, Gamma Display assist and proxy recording. Full HD is available at up to 120fps and 100Mbps, allowing footage to be edited into 4x or 5x slow motion video files in 1080p resolution with AF tracking. 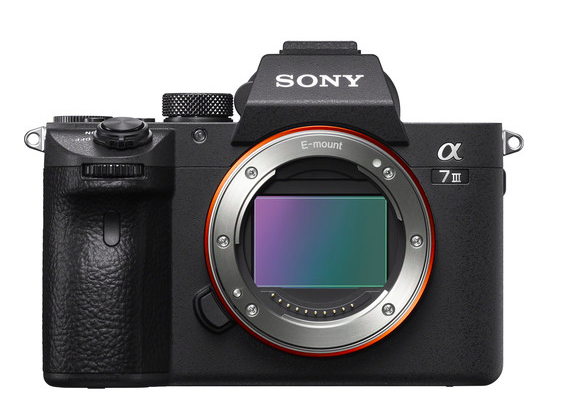 The Sony A7 III will ship in April 2018 for about $2000 US for the body and $2200 in a kit with the FE 28‑70 mm f/3.5‑5.6 kit lens. 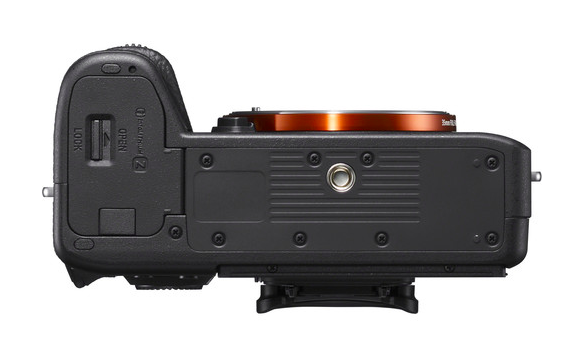 You can see the full specifications of the camera by visiting the official Sony website.